There's much to be said for announcing yourselves to the world in style. Whether it's the Stone Roses opening their first album with the thinly veiled menace and arrogance of: "I don't have to sell my soul, he's already in me." or Wayne Rooney's debut hat-trick for Man Utd against Fenerbahce (feel free to enter your own non-Manchester-based examples here), such opening salvos tend to stick in the mind. 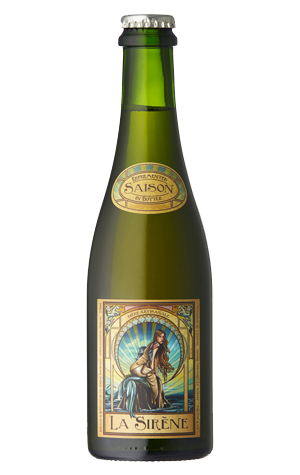 In the world of Aussie craft beer, few have fired an opening salvo to match that of La Sirène, whose Saison was instantly garnering "best saison in Australia" plaudits from drinkers upon its release and, three years later, received the same from industry peers at the first Craft Beer Awards. It's a beer that pours a glowing orange yellow with an impossibly towering, fluffy white head that offers up all manner of tropical and floral aromas, melds some sweet malts with a touch of peppery spice and a touch of that all-important saison funk in a beautifully subtle and complex take on the style.